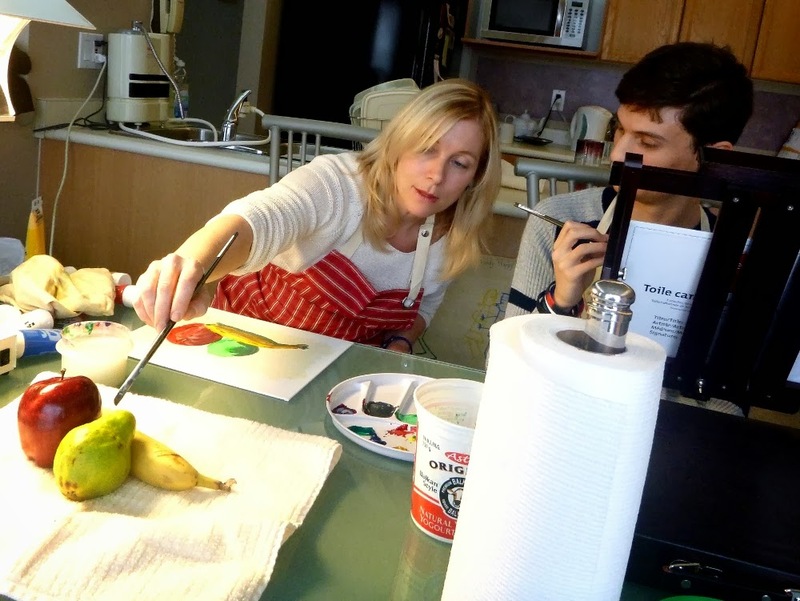 Autism and the Art of Communication: Teaching Art to Students on the Autism Spectrum: Follow Me! 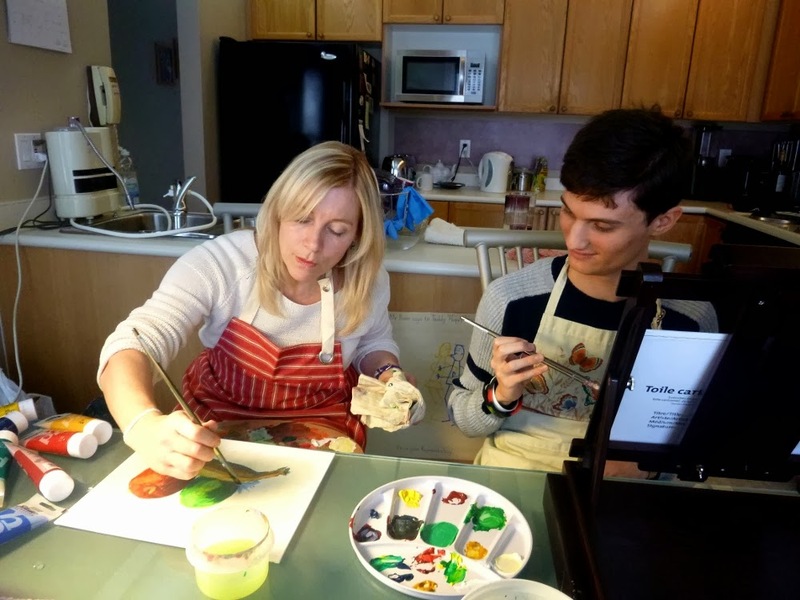 Teaching Art to Students on the Autism Spectrum: Follow Me! 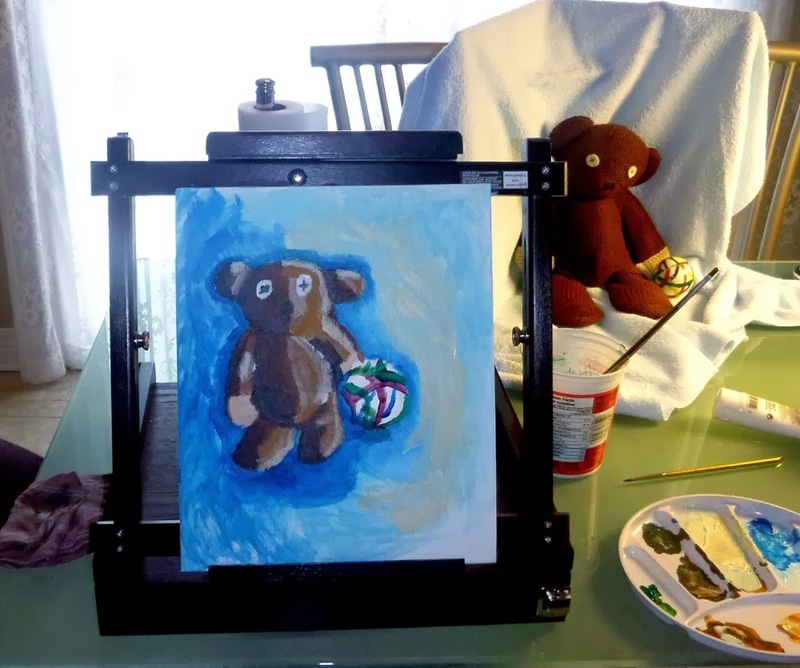 If you've been following this blog, you'll know that I recently went back to art school ... best thing I could have done to dust off my mental health and start the new year with a fresh perspective. A bonus side effect is that I'm learning new things that I can share with my students on the spectrum. The method I refer to as "Follow Me" involves sitting side-by-side with your student, demonstrating new materials and techniques step-by-step - showing rather than telling. The class I'm taking at the Ottawa School of Art is an introduction to painting with oils and acrylics, and over the past few weeks, Kevin and Adam have also been learning about how to paint with acrylics, starting with a review of colour mixing and light and shadow (concepts we first introduced when they were in high school art class). 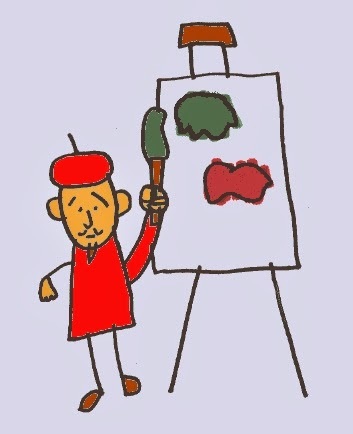 We use our art sessions as an opportunity to extend language skills (vocabulary and concepts). 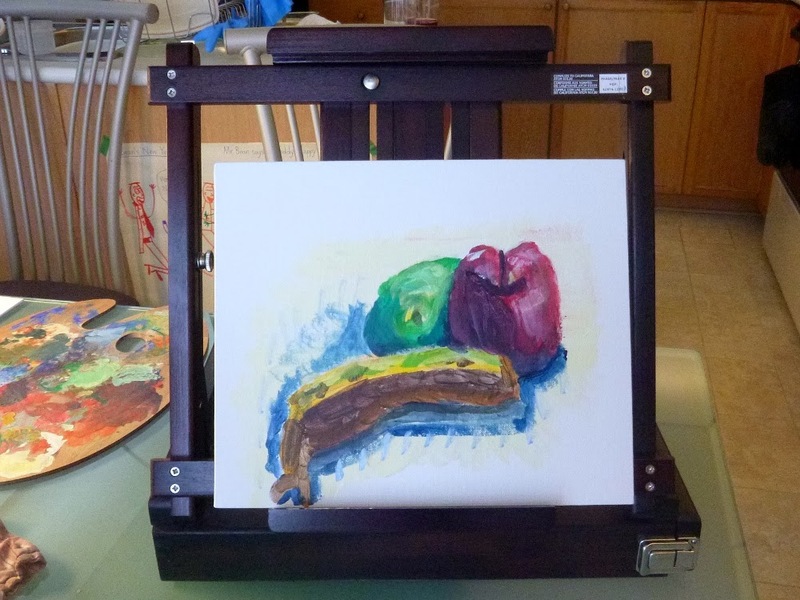 And now we've moved on to painting still life compositions on canvas boards, using artist quality paints and easels (if you want your students to love making art, you have to give them good quality materials to work with). 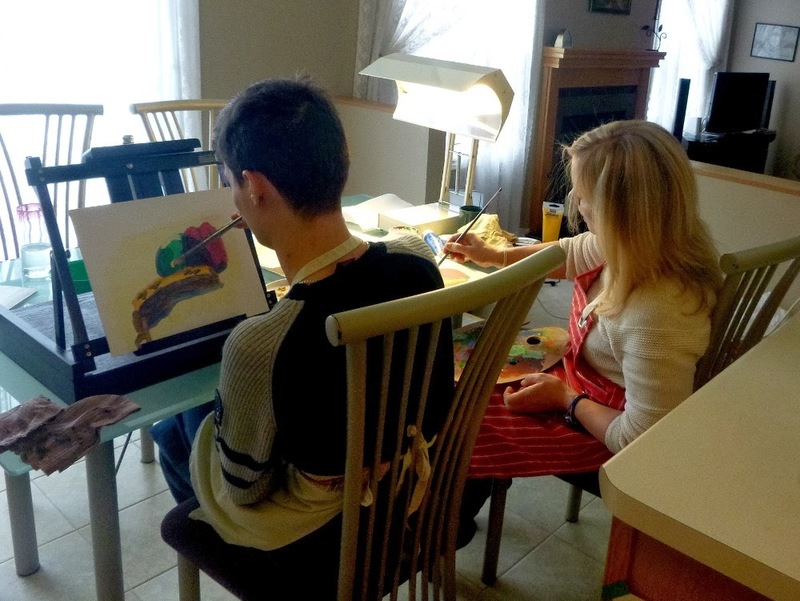 And don't forget to tailor your student's art projects to their personal interests and favourite topics - let your art sessions be an opportunity to express passion for what is dearly loved and wash away some of the "dust of everyday life". 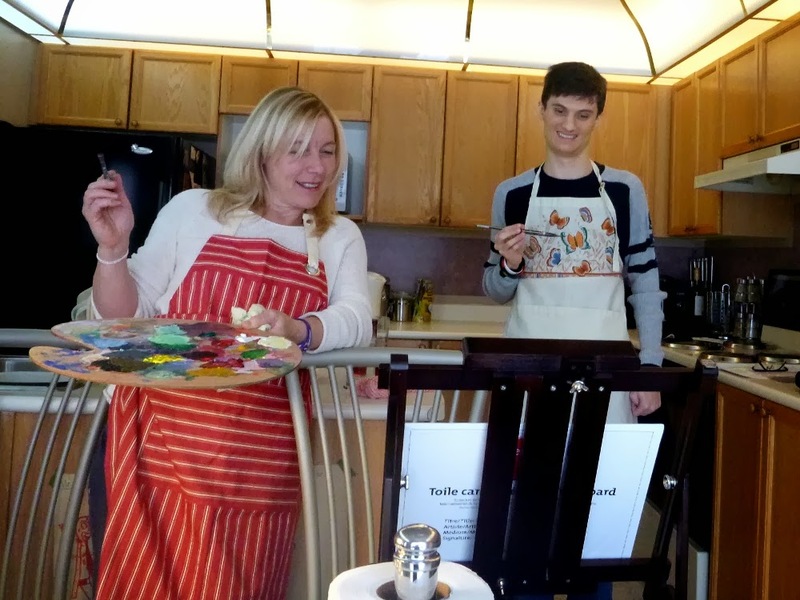 And a big thanks to Carole (Kevin's mom) for taking the photos of our art session!